Welcome to another edition of Forky Friday! For a change of scenery, this post is being produced in the dark confines of our hotel room in Orlando, Florida. With amber goggles shielding our bleary eyes, Henry and I are silently tapping away on our laptops while the Double-Os sleep in the neighboring bed. Every time I hear one of them stirring, I (quietly) slam my laptop shut and hold my breath. Who said being a blogger wasn’t glamorous? I’m here at Disney World to attend the Food Blog Forum all day Saturday, but I hope to squeeze in some family time at the parks during my non-conference moments. These past few weeks have been a nonstop flurry of activity, so I’m looking forward to decompressing with my boys – and there’s nothing more relaxing than being flung around like a rag doll on a bunch of thrill rides. Whee! Enough about me – let’s get to the links. The gems I’ve curated this week include a restaurant’s “wild” menu that has some people seeing red, a spot-on rant by one of my favorite food writers, some cool giveaways, a bunch of tempting recipes, and a video that’ll inspire you to book a gastrotour of Spain. Because I had little or no time to plan our meals for our Orlando trip, I’m going to just go everywhere Russ Crandall recommended in his awesome post about gluten-free dining at Disney World. 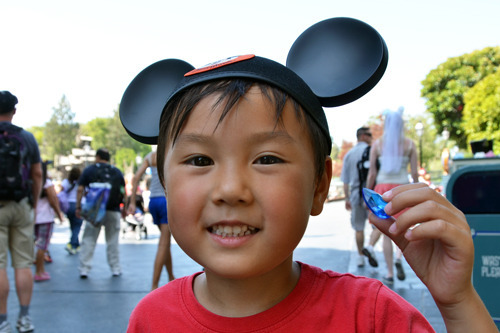 If you’re planning on making a trip to see Mickey this summer, you need to read this. I’m actually a tad disappointed that Orlando is so far away from Tampa because I want to check out the Safari Tacos at Taco Fusion. Recently, there was a huge uproar about certain “exotic” fillings on their taco menu – specifically, lion meat. In response, the owners defended their decision to keep lion on the menu in a thought-provoking post on the company blog. What’s your take on lion tacos? You know who probably won’t share a platter of lion tacos with me? James Beard Award winning blogger/hunter/angler/gardener/cook/writer Hank Shaw. Last year he wrote a great post about where he draws the line when it comes to choosing which species he’ll eat. Speaking of drawing the line, Michael Ruhlman wrote another fantastic rant about how America has a serious THINKING disorder when it comes to food. I definitely agree with his stance that everyone should just focus on eating real, home-cooked meals. One day me write pretty like him. Take care of your knives, people. 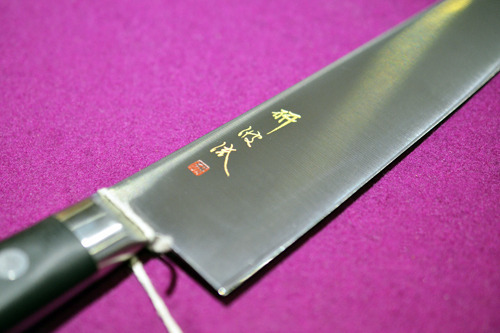 The Kitchn describes three ways you might be inadvertently ruining your knives in this helpful post. 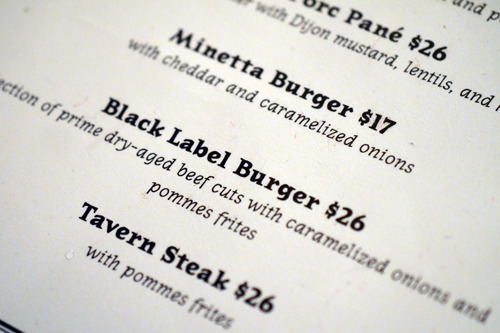 Over at Serious Eats, J. Kenji López-Alt shows you why Minetta Tavern’s Black Label Burger costs $26. Henry and I went halfsies on a Black Label Burger last summer and we’d gladly pony up the bucks again – especially seeing how there really is no way to recreate it at home. Wanna win some cool stuff? George Bryant a.k.a. The Civilized Caveman is having an epic giveaway for a nifty KitchenAid mixer right here. If smoky meats are more your thing, Paleo Nick is giving away a kickass Smoke Vault smoker right here. If you haven’t visited both of these gentlemen’s sites before, you’re missing out on some crazy good recipes. Who misses cereal around here? 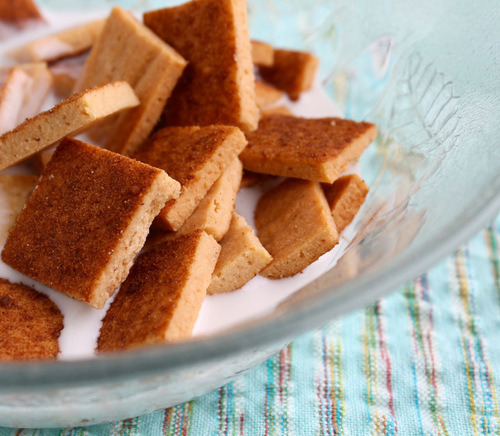 Luckily for you, Simone Shifnadel has perfected a recipe for a grain-free Sweet Cinnamon Cereal. This video from The Perennial Plate makes me want to eat my way through Spain so badly it hurts. Last, but not least, I wanted to thank all my Facebook pals for being such a lively and helpful community. You ROCK. Whenever I need answers to any dining/cooking dilemmas, you guys always deliver. Just the other day, in response to a question I posted on behalf of a reader, I received over 100 wonderful tips about how to plan a Paleo camping trip. If any of you have questions for this incredibly knowledgeable and generous community of Nom Nom Paleo readers, leave ‘em on my Facebook page!